Tonner Doll Company Reveals Groundbreaking New Doll Line: The Nu Mood™ Collection! The Nu Mood™ Collection is comprised of 7 basic dolls, each with interchangeable hands and feet, for dynamic pose-ability and play. 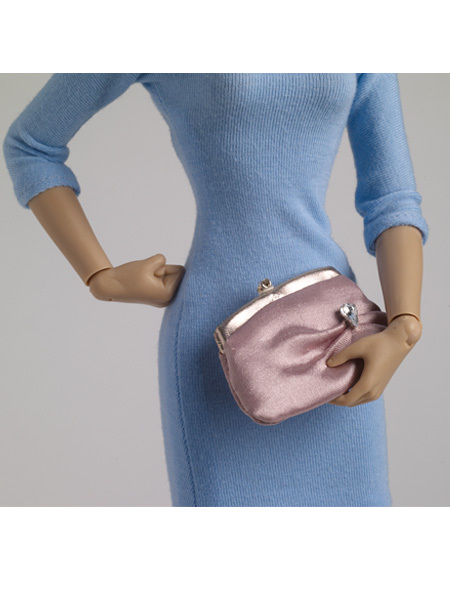 Tonner further infuses the fun into collecting with this extensive line that includes not only the dolls and interchangeable hands and feet packs, but also an endless array of fashionable separates, wigs, purses, and shoes, for a very customized feel. Tonner Doll Company, award-winning designer of collectible dolls, has released a new and entirely groundbreaking line: The Nu Mood™ Collection. Established in 1991, Tonner Doll Company is internationally renowned and has been a staple in the high-end collectible doll industry for over two decades. Comprised of 3 different body types (Fashion, Dance, and Curvy) and 7 different head sculpts, the Nu Mood™ Collection is unlike anything Tonner Doll has done before. 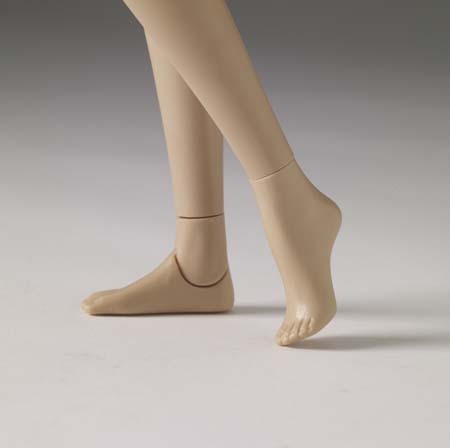 The Nu Mood™ Fashion body (also used in the Tyler Wentworth® line) is a standard 16” figure with a model-esque body and high-heeled feet, while the Dance body has a slimmer bust, and ballet feet (En Pointe). Finally, the Nu Mood™ Curvy body has a fuller bust and hip than the Fashion body, for those collectors who prefer a more voluptuous appearance. Each body style has 13 points of articulation for limitless dynamic posing. For a high-end collectible, the dolls are at a wonderfully affordable price-point of $59.99. What makes this collection a stand-out for Tonner is the interchangeable hands and feet, which allow for unprecedented pose-ability and play. Tonner Doll offers a Nu Mood™ hand pack consisting of 3 pairs of hands: Fancy Hands, Holding Hands, and Fists. The Fancy Hands are elegant and graceful in appearance, while the Holding Hands are able to hold props, and the Fists are great for the hand-on-the-hip pose, for example. Similarly, a Nu Mood™ foot pack, called In Step, is offered also, which includes 3 pairs of feet: High-Heeled Feet, Dance Feet (En Pointe ballet), and Flat Feet. Each hand and foot pack is available in both Caucasian and African American skin tone. But wait: There’s more! This extensive Nu Mood™ Collection also includes an endless array of fashions and accessories to play with. Tonner offers graceful, flowing dance attire, including shoes and tiaras, as well as copious amounts of fashionable footwear, purses, wigs and outfit separates. This collection brings back the power of play like never before! To experience the full collection, visit http://www.tonnerdoll.com/nu-mood-collection, or stop by the Tonner Company Store at 14 Hurley Avenue in Kingston, NY. About Tonner: Headquartered in Kingston, New York, the Tonner Doll Company, Inc. develops and markets high quality collectible dolls like Betsy McCall®, Effanbee® Dolls, and the popular Tyler Wentworth® line of dolls and fashions, as well as other licensed characters, including PIRATES OF THE CARRIBBEAN, MARVEL UNIVERSE, THE WIZARD OF OZ dolls, and HARRY POTTER™ and DC STARS Super Hero Character Figures inspired by DC COMICS.